We recently reviewed a gorgeous handmade necklace from Cley Designs, which is personalised and will be given to my daughter on her birthday. 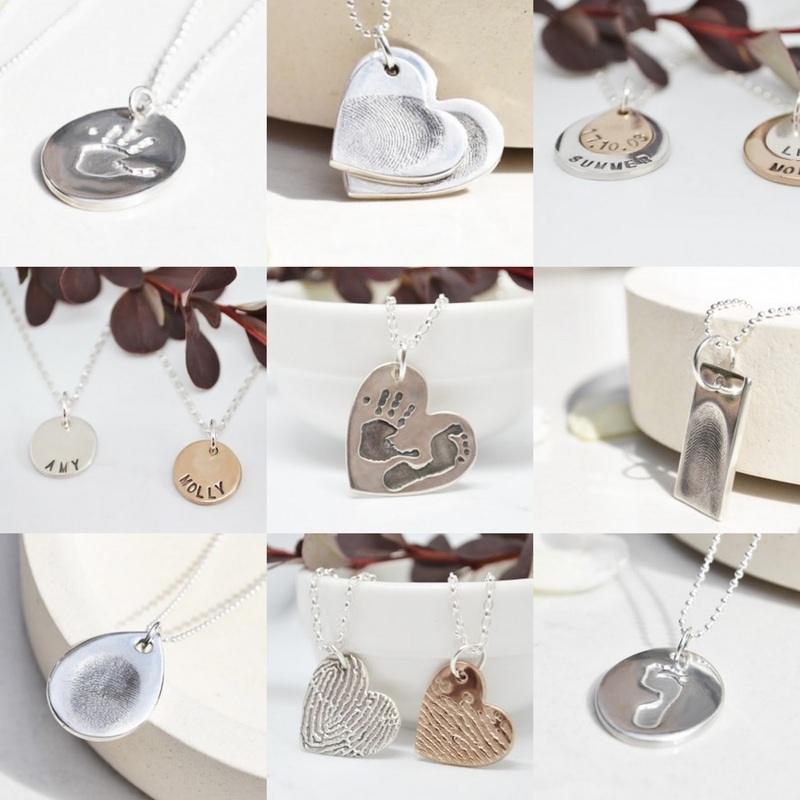 They make gorgeous bespoke jewellery, and not only add letters and numbers, but also your own footprints, handprints and even fingerprints, to create a really precious gift with a lot of meaning. 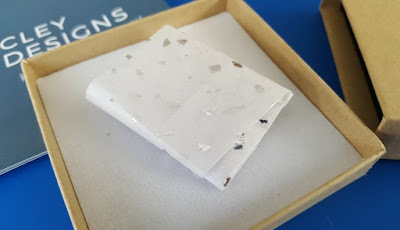 My daughter's Sterling Silver necklace arrived beautifully packaged with care in gorgeous tissue and a card box. Opening it felt very special. Inside the necklace itself is beautifully shaped, with nicely smoothed edges, from fairly thick silver. It feels really nice in your fingers, and I know she will love it. 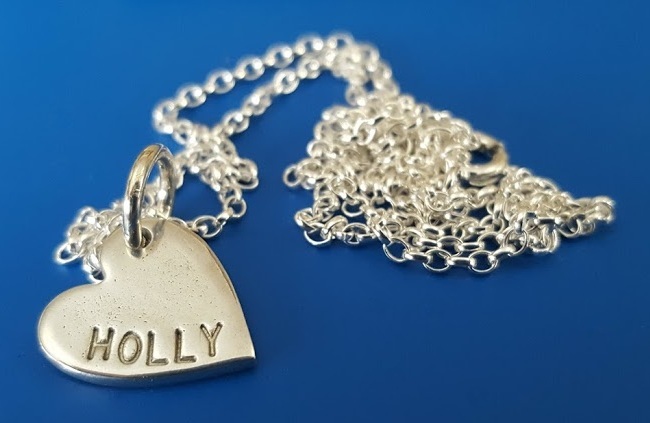 My daughter's personalised charm with the standard 18inch (45cm) Silver Belcher Chain costs £44, so a £50 voucher will buy someone a lovely gift. You can find out more and see the whole range on the Cley Designs website. Cley Designs have kindly offered one of my readers a £50 voucher as one of my Christmas Present Giveaways (which you can find listed on my giveaways page here). Entry to the giveaway is by Rafflecopter form below. Cley Designs have asked that all entrants subscribe to their mailing list as the first mandatory entry. 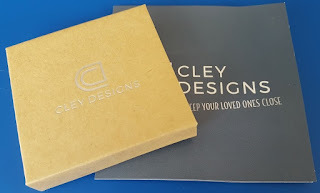 By leaving your email you will be automatically added to the Cley Designs mailing list. You will receive offers and news from Cley Designs Fortnightly. Your details will not be passed on to any other party. You can opt out at any time. 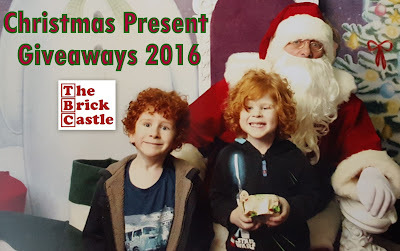 The giveaway is open to UK entrants only and will end at midnight Sunday December 4th. Full terms and conditions are shown on the Rafflecopter form. For help with Rafflecopter please see this guide written by Di Coke. Michonne from The Walking Dead because she's fearless. I'd choose the lucky fairy's fingerprint in the hope that she would bring me lots of luck! Wonderwoman. I need some help! This would be a great gift for me, and I think if I had to have a fingerprint and I couldn't have one of my son I would choose Spider Man, because why not! hmm thats a really difficult question! im a huge jackie chan fan so ill say him! Sean Bean, just because I think he's ace! I'd choose Eric Idle to remind me always look on the bright side of life! Jack Sparrow - pirates are fun when you're young! Michael Schofield from Prison Break because he can always come up with a plan to save himself and others.. hopefully the necklace would help me when needed! I would have George Clooneys as he is pretty lush and makes my heart flutter!!!!! Sir David Attenborough...he's a legend! I'd choose Harry Potter because the books came out the same time my parents divorced and they were my escape, they made a hard time a lot more bearable. Wonder Woman as the whole family seem to think I am her with all they expect me to do! David Attenborough I need to meet this Sir he has shown me how amazing our World is. My Nan is my idol, so I would choose her. Judy Garland - she was my childhood hero. I would choose Johnny Castle from Dirty Dancing just because he is gorgeous! I would want to get Jean-Baptiste Grenouille's fingerprint, the character from my favourite book "The perfume", because I am fascinated by his character. I think it's amazing how the author manages to get the reader to sympathise with someone who is so messed up - a murderer! I would want his fingerprint to symbolise the chase for perfection (he chases the perfect perfume, but in my eyes, perfection would be to find true happiness in my soul). If i could have a fingerprint of a fictional character it would be Josephine March from little women, she teaches us to not only follow our dreams but also to recognise the importance of family and friends. She's got a temper and she feisty but she's also got good morals and she stands up for whats right. Captain James T Kirk ....how cool would that be? Dumbledore from Harry Potter, as he is wise and strong. It would be Queen Elizabeth I to remind me what a strong woman can do. Robbie Williams because he's my guilty pleasure! Marty McFly so he could travel back in time to when we moved house and help me find the Cufflinks that got lost in the move. They were so precious with our sons fingerprints. He's all grown up now so those tiny prints are gone forever. Captain Jack Sparrow, as he is resourceful, cheeky & funny, it will remind me to lighten up when life gets a bit too serious. Oh it would have to be batman.